The first of my F’ed up emotions, thoughts and craziness, all starting to unfold and unleash from Pamdora’s Box…. Trying to be honest with myself about what I really and truly want from this life. How much has Fear been able to hold me back? Approaching 50 this year and coming to the realization that my life is more than likely 1/2 over — My story seems to be running out of room for trivial , meaningless days spent. My time is getting to be really important and precious to me. I find that I am “in the moment ” and more present than ever. Which is making my tolerance of many things and people at an all time low. Tuning back in is making me realize how bad people really are at listening. The “Fear” of missing out on a meaningless text message or FB post is alarming. As of New Years 2018 I proclaimed my word of the year to be “TIME”. So important to us all. Yet squandered and simply taken for granted. I am constantly asking myself what makes me so afraid of living the life that I want. Status Quo? What everyone will think ? “Fear” of laying aside the a materialist mindset , removing myself from the competition of “who has the best stuff ” , saying so long to a judging society that we all have grown accustomed to? I want more than spending time wasted in toxic environments and toxic relationships , depleting me of my true self. With Fear, worry and regret along with me on my journey, I want all of it to stop stealing my joy. I want to explore and get to know myself. To really start to like who I am. There’s got to be more and I want to find it. 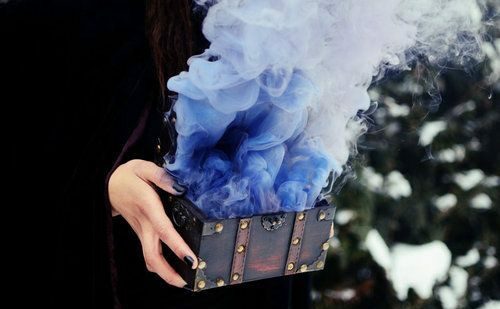 I want to be able to unleash the hope that was hidden in Pandora’s box. But how do we make ourselves believe that it is ok to be disconnected? That We are so much more than a 40 hour work week. What will it take for us to Get our head outta of the clouds? I want more than this hum drum, Day in and day out , paycheck to paycheck kinda life. So. If you would like to join me on my journey and see what year FIFTY has in store for me then come along while I make fear take a backseat – while I get to living my best life with my TIME being of the utmost importance…. My hope is to uplift and inspire as I embark on the many poisons, problems and possibilities that will escape out of Pamdora’s Box…..